The next step is to obtain certified funds to send to the lender or their attorneys. These funds should be in the form of a bank or official check, as lenders will not accept personal checks for payoff or reinstatement purposes. The borrower’s attorney should send these checks to the proper party by reliable courier, such as Federal Express. Once the funds are received by the lender, the lender should then notify their attorneys that the loan has been paid in full, or has been reinstated. Either way, any pending foreclosure litigation should be discontinued. Under New York law, if a foreclosure action is to be discontinued, the plaintiff (the party who brought the case) must make a motion with the Court to end the action. Of course, the borrower (the defendant) will not oppose such a motion, and the Court will then issue an order discontinuing the action and cancelling any notice of pendency that may have been filed with the County Clerk. Counsel for the borrower should monitor the Court to make sure the lender’s attorney has taken all of the necessary legal steps to end any pending litigation. 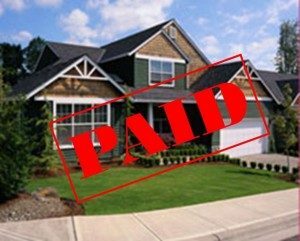 If the loan has been fully paid, the lender should also file a Satisfaction of Mortgage with the County Clerk. If the loan has simply been reinstated, the borrower should make sure that they receive updated statements from the lender that should show the amount of the new payments due, and when they are to be paid. Our firm handles foreclosure defense and has extensive experience in resolving such litigations in an expeditious manner.